In our area the olive tree is sacred. 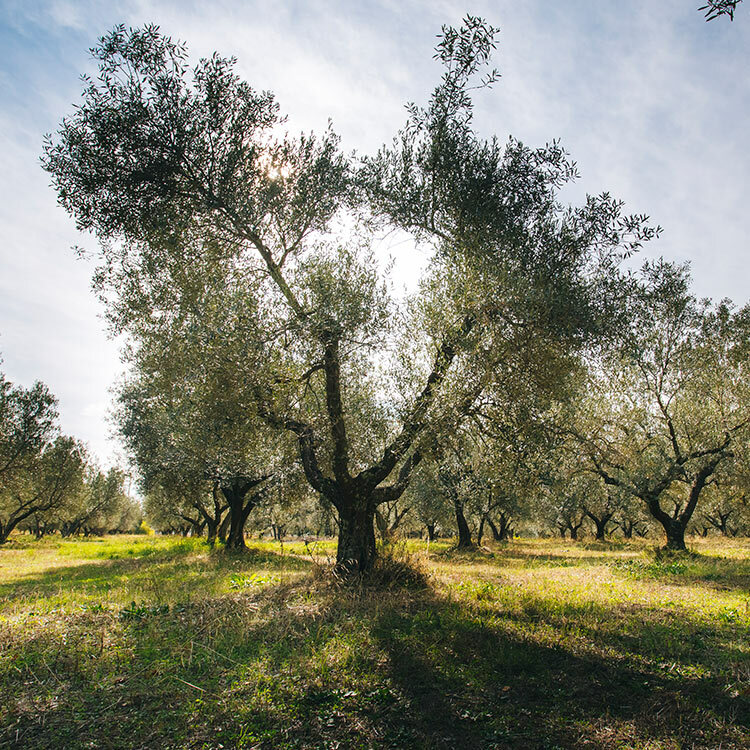 Our land is full of large and small olive plantations, cultivated according to ancient traditions and cultural techniques consolidated through the years. 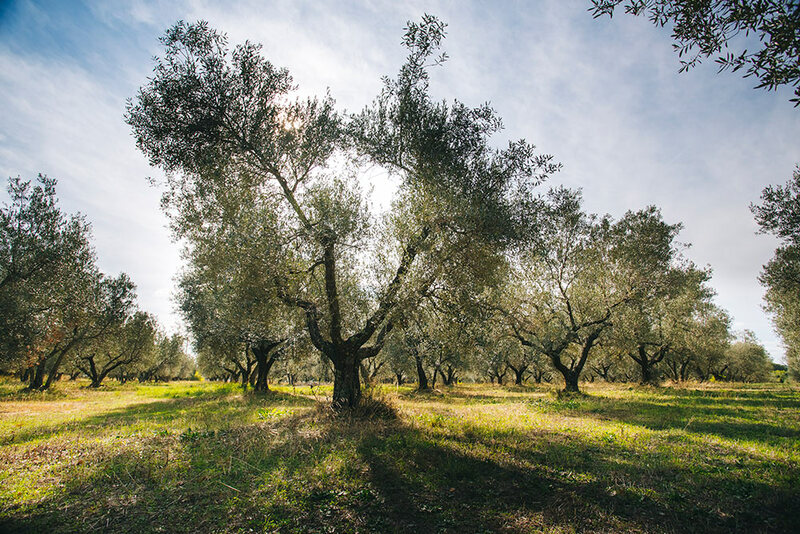 The olive groves have particular varieties: the first one is Canino, small olives full of an intense and fragrant oil, then there are the most common like Frantoio, Leccino and Moraiolo. Big trees and new structures preserve a history of ancient origins. The oil has peculiar features: it is intense green, it has a good fragrance with an aroma of artichoke and fresh grass, and it is pleasantly fruity and vegetal; its taste is strong and persistent with the right balance between bitter and spicy and, in the end, it has a pleasant note of sweet almond. 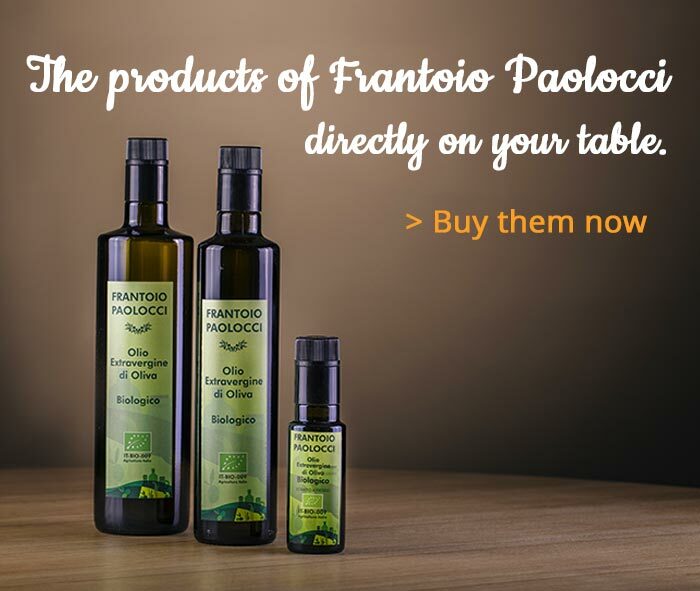 Frantoio Paolocci promotes these local productions creating 4 types of extra virgin olive oil: Classic, D.O.P. Tuscia, Organic and Tracciato. Produced and bottled inside the olive-press, our oil can use with foods which deserve the right delight of taste like antipasti (appetizer), savory first dishes, traditional soups and grilled meat. It’s really good with salads and raw vegetables.